Oponeo.co.uk Ltd., established at 46 Station Road North Harrow, London HA2 7S phone: 0800 066 3422, as the Data Controller respects the law of the Users to privacy. The company takes special care of protection of their personal data and applies appropriate technological solutions preventing interference in the Users’ privacy by third persons. In order to ensure full transparency of the personal data processing process, provisions of this Policy determine which data regarding the Users are collected, how they are used and to whom they could be transferred. The basic legal act according to which Oponeo.co.uk Ltd. processes personal data of the Users is the Regulation No. 2016/679 of the European Parliament and of the Council (EU) of 27 April 2016 on the protection of natural persons with regard to the processing of personal data and on the free movement of such data, and repealing Directive 95/46/EC, hereinafter referred to as ‘GDPR’). Our careful handling of your personal data is a matter of great importance to us. Therefore, we appreciate your trust in Oponeo.co.uk to handle your personal information conscientiously. In the shop’s part, it's not necessary to register to made a purchase. Personal data may be also collected in order to reply to a question asked to Oponeo.co.uk regardless of its form (e.g. in the chat), sending marketing information or at the time of organisation of contests on www.oponeo.co.uk. The basis for personal data processing in the above-mentioned cases is the consent of the individual (Art. 6 Item 1 Let. A of the GDPR). It should be noted that a consent given by the User to the processing of his/her personal data by OPONEO.CO.UK LTD. for marketing purposes is entirely voluntary and the consent to the processing of his/her personal data may be withdrawn at any time. Therefore, the User's data will be processed by Oponeo.co.uk until withdrawal of the consent by the User. The only exception is participation in a contest, in such case the duration of data processing will be limited to the duration of the campaign and its settlement (it does not exclude the right to withdrawal of the consent and thereby to withdrawal from participation in the contest at any moment). Receivers of the data may be the following: entities supporting the Oponeo.co.uk website, entities responsible for conducting the contest, providers of marketing services, shipment companies, accounting companies, payment processing companies, assembly services. In case of making a purchase or benefiting from other services offered by Oponeo.co.uk, the basis for the User's personal data processing is execution of the Agreement (Art. 6 item 1 Let. B of the GDPR). Therefore, the Users’ data will be processed until the execution of the order or a service and until prescription or expiration of claims. Receivers of the data may be the following: shipment companies, accounting companies, suppliers of the goods, assembly services, providers of IT solutions, payment processing companies, banks, insurance companies, debt collection agencies, companies providing marketing services, providers of warehouse services, telecommunication providers, companies utilizing documents, authorised state authorities. Each User has the right to request access to his or her data, their rectification, erasure, the right to have the processing restricted, right to object to the processing of personal data and the right of data portability. This can be done by contacting the OPONEO.CO.UK LTD. operator. Moreover, in case of registered Users, the data can be rectified through the User’s profile edition form. A supervisory authority to which the User may lodge a complaint is the President of the Personal Data Protection Authority. Personal data provided while adding a comment to products or an announce are available for all persons visiting pages containing these data. The comments added by Customers under products and those evaluating the shop (including those send to the shop’s e-mail address) becomes property of the Oponeo.co.uk Ltd company and may be used in such form or may be shortened to promote the shop or its products. These comments will never be signed with full name, unless the Customer gave his/her consent for that or entered these data all by himself/herself. Oponeo.co.uk Ltd. shall not be responsible for personal data placed by Customers in the comments. We also undertake not to alternate the comments nor use them in another context or to promote a product that would be different from the one intended by the author. Opinions expressed in comments still remain opinions of the Customers and not the employees of the Oponeo.co.uk Ltd. company. The on-line shop under the www.oponeo.co.uk domain was created on the basis of the most recent technologies based on worldwide proven solutions. Technical and organisational mechanisms of personal data protection are chosen taking into consideration their nature, scope, context, purpose of processing and risk to the rights and freedoms of natural persons with different probability and weight level, adequate to the identified dangers. If you have accepted a subscription to newsletters from OPONEO.CO.UK Ltd., it is possible to unsubscribe at any time using the following link: https://www.oponeo.co.uk/newsletter-unsubscribe. The appropriate link is also provided in the imprint of each newsletter. Subscription to the newsletter is free of charge other than the transmission costs pursuant to the basic tariffs being incurred in this regard. Before we can commence with the purchase transaction of the goods in our shop, we ask the client to provide us his/her full name, address of residence, phone number and the data related to the form of payment, e.g. the type of credit card, the credit card number, validity date, the CVV number. Every time, we minimise the scope of collected data asking only for these data that are necessary to achieve the purpose of processing. During your visit on our website, the IP number of the computer that you use is automatically saved. How do we use the Customers’ data? The users’ data are used only in accordance with the purpose of processing about which the users are informed. It happens that the data are made available to other entities but only in cases when it is necessary to achieve the purpose of processing. The data collected during the transaction of purchase are used in order to carry out the transaction, including collection of money from the Customer and sending him/her goods. The Customer's data may be transferred to a payment processing company in order to debit your credit card and to a shipment company in order to deliver the goods. If you sign up for our Newsletter or you give consent to receive it in any other way, we will use your data in order to carry out the subscription of our Newsletter. The data collected automatically may be used to analyse behaviours of the Users on our website, collecting demographic data on our users or in order to personalise the content of our web pages. These data regarding each User are collected automatically. In case of breach of Terms & Conditions of our service, law violation or if that is required by legislation, we can make your data available to judicial authorities. How do we contact the customer? A client who purchased a good may receive an e-mail or a SMS regarding the order execution status. We may also contact the Customer by phone. If the Customer subscribes for our Newsletter or gives consent to receive it in any other way, he/she will be receiving Newsletter subscription according to the request. The user may unsubscribe from the Newsletter at any time, using an appropriate link in the footer of each Newsletter. He/she will not be charged with any costs except for those resulting from the Agreement concluded with the Internet provider. If you accepted newsletters subscription from OPONEO.ie, it is possible to unsubscribe at any time using the following link: https://www.oponeo.co.uk/newsletter-unsubscribe. The appropriate link is also provided in the imprint of each newsletter. What is more, it is without costs other than the transmission costs pursuant to the basic tariffs being incurred in this regard. Cookie files is an information saved by the server on the disk of your computer. Information from cookie files enables to adjust the appearance of website to the Customer's interest (e.g. 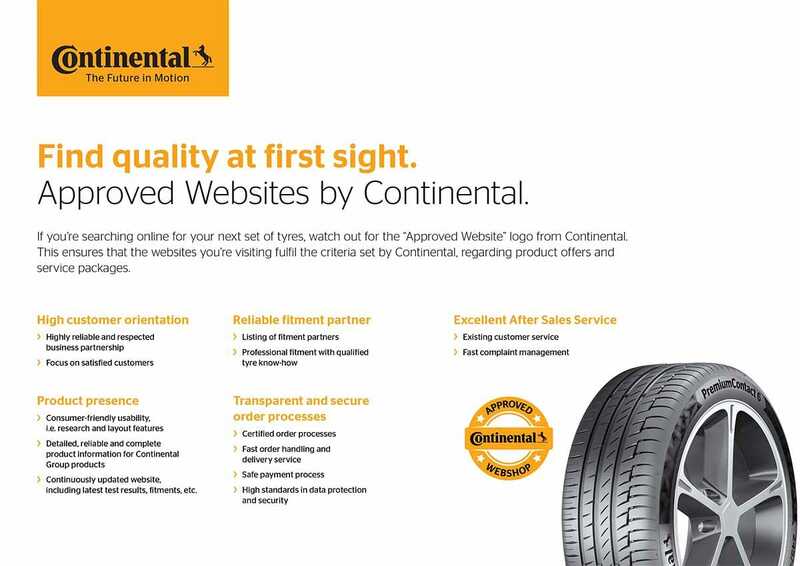 decides on the content of advertisement that will appear on the website). Cookies are also a tool of data compilation regarding popularity of a given website. - persistent – they remain on the device throughout the period indicated in cookie files settings in the Internet browser or until the moment of their manual removal by the User. Usually, the default software allows for functioning of cookie files. However, it could be disabled at any time (all browsers have such option). Restriction to use cookie files may sometimes affect some functions available on this website. Cookie files do not endanger the Customer’s computer system. They carry out a nameless identification, they usually comprise only the name of the Internet websites from which they originate, their storage period on the terminal equipment and a unique number. Cookie files may contain personal data if they are placed on our website. Such data are efficiently protected by us and no unauthorised person has access to them. These information are used only in order to perform some defined operations that have been approved (e.g. while executing the order). Cookie files contain only those pieces of information that are necessary to carry out our services in a correct manner. If the User uses only one computer with other persons, after using services provided by www.oponeo.co.uk to requiring logging in, he/she should log out so that no one can preview, use or modify his/her resources or information. At the same time, we recommend switching off automatic saving of passwords in settings of the Internet browser. We ask you to be careful while sharing data, in particular your password, with third persons. In order to guarantee the safety of your information during transfer we use Secure Socket Layer (SSL) software. This software encodes the information which you transfer. We maintain strict physical, electronic and procedural safety measures in connection with the collection, storage and disclosure of our customers' personal information. We assume no liability for data security during its transmission via the Internet (for instance, due to technical problems of the Internet Service Provider) or in case of any criminal third-party access to files on our website. However, it is important for you to protect yourself against unauthorised access to your account. If you share your computer with others you should take great care to log out after each session, and do not disclose your password to anybody. We assume no responsibility for access into confidential customer login. Personal data are collected according to the purposes set out in this Policy, they are processed throughout the period necessary to achieve a given purpose and also in order to protect the interest of the Data Controller until prescription or expiration of claims. In case of additional questions concerning privacy protection, please contact us using a contact form on the website, by e-mail to gdpr@oponeo.co.uk or by post to the following address: OPONEO.CO.UK LTD, 46 Station Road North Harrow, London HA2 7S.